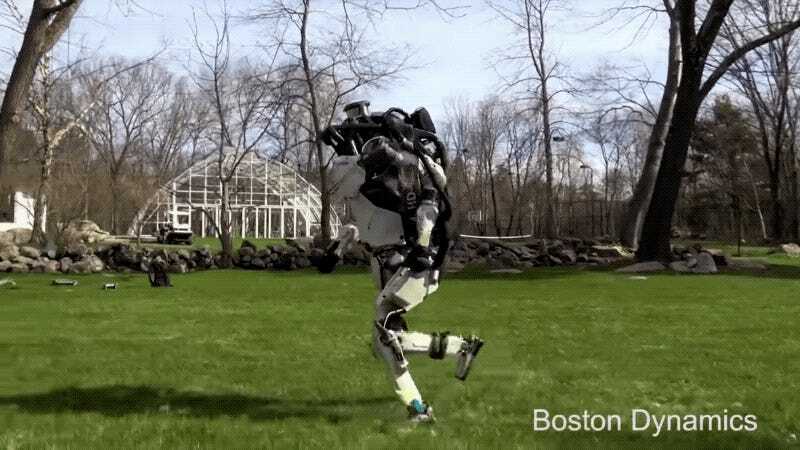 Boston Dynamics, the company voted most likely to spawn the Robopocalypse, has released a pair of new videos showcasing the latest abilities of its synthetic creations. 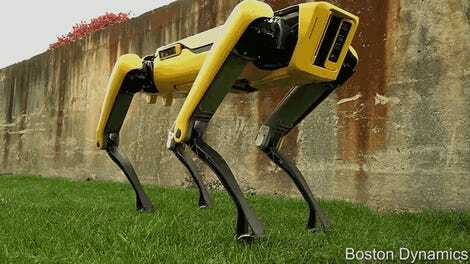 A freakishly realistic humanoid robot running effortlessly through grassy fields and managing challenging terrain. 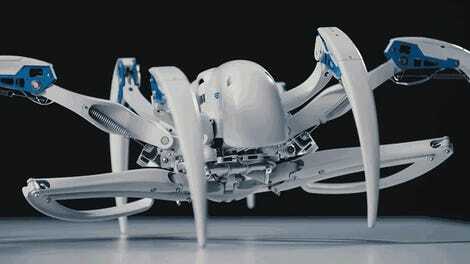 A dog-like machine autonomously navigating the complex maze of an office and lab facility. What could possibly go wrong? From previous videos, we know that the humanoid robot Atlas is capable of some incredible physical feats, such as stacking boxes, performing backflips, and occasionally providing some needed comic relief. 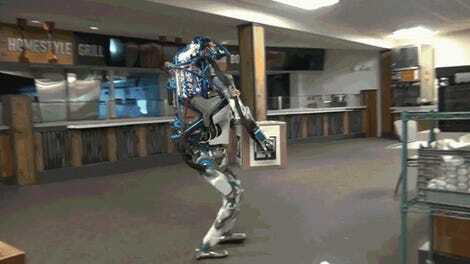 Up until this point, however, we’ve never seen this bipedal machine do its work outside. In this latest video, Atlas can be seen running through a grassy field, managing some difficult terrain, and even jumping over a log. Very nice. But also a bit scary. The second video showcases the autonomous navigational skills of the dog-like SpotMini—the same bot that’s capable of escaping through doors. SpotMini, as this new video shows, is also adept at self-navigation. 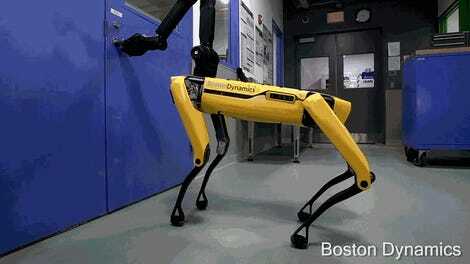 Before the test shown in the video, the four-legged bot was manually guided through the Boston Dynamics office and lab facility, during which time it recorded the lay of the land using cameras mounted on its front, side, and back. Armed with this internal map, SpotMini was able to autonomously walk through the facility, and even climb and ascend a set of stairs—which, as many dog owners can attest, is often challenging for our living and breathing canine companions. In the video, SpotMini handles the stairs like a boss. Nothing too mindblowing here, which is a crazy thing to say. We’re starting to get spoiled by these videos, and even taking the current era of robotics for granted.